Scientifically Sweet: The best ever Yellow Butter Cupcakes! The best ever Yellow Butter Cupcakes! It's just about final and ready for you to see. OK! OK! It's really here! 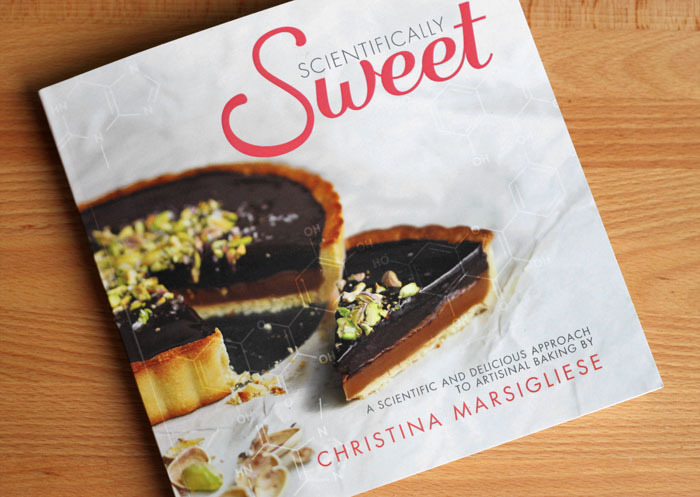 Scientifically Sweet is available on Amazon right now and I couldn't help but want to celebrate like it's her birthday....because it is! Because I am so happy and you are so dang special, I am going to share a really great recipe from my book. These really are the best Yellow Butter Cupcakes. They're fluffy, moist and full of flavour. In my book they're paired with the most incredibly creamy and light buttercream frosting in a recipe called "Vanilla Purist Cupcakes". PS. that vanilla buttercream will become your favourite. But, for today I slathered them with chocolate ganache and coloured them with rainbow sprinkles. That's just what you do on birthdays. It means happiness. It means, "I want to celebrate the crap out of you". I think you need to see this recipe right now because it is that good...and we all need a great yellow vanilla cupcake recipe in our back pockets. No seriously, I keep it in my back pocket in case of emergency bake sessions - you never know when or where a good cupcake is needed. Plus it comes in handy when you've nearly forgotten someone's birthday. These guys come together so quickly too! I use the one bowl method where butter is first blended into a mixture of dry ingredients before the wet ingredients are beaten in. 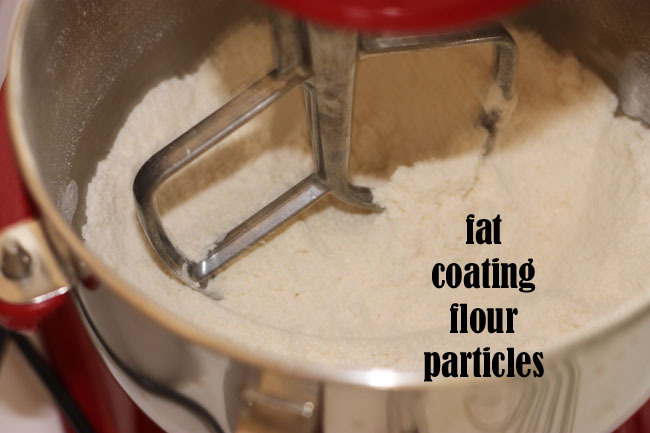 The fat coats the flour particles to prevent excessive gluten formation and ensure a tender crumb. A combination of butter and canola oil makes them especially soft and moist. It is important to mix the batter until smooth but you can still over-beat, so just be modest and avoid high speed on your mixer. 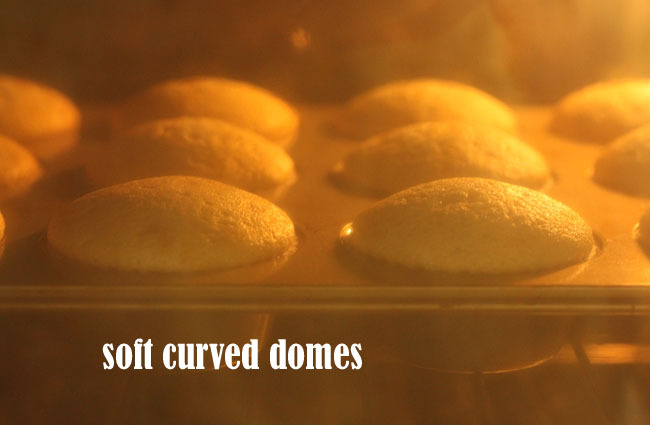 This is a great method for cupcakes, but I do not recommend using it for all styles of shortened cakes. You'll find out why in the cakes chapter. This is what I stare at for 18-20 minutes. I'm impatient. A watched pot never boils, but watched cupcake batter makes perfect, fluffy cupcakes. They bake up so dang lovely every time. Softly curved domes with an evenly golden surface and tops that spring back when pressed gently with the tip of your finger. Love and cupcakes is all we need to get by. Birthday or not, celebrate today because it's another day. You don't need any more reason than that. You're awesome. You brushed your hair this morning and maybe even put a bobby pin in to hold up your bangs that you're trying to grow out. That's effort. That deserves cupcakes. To make the frosting, place chopped chocolate in a medium heatproof bowl; set aside. In a small saucepan over medium-low heat, combine cream, corn syrup and salt bring to a gentle boil. Watch carefully so that it doesn’t foam up and bubble over. Reduce heat and simmer very gently for 30 seconds. Remove from heat and let stand for 15 seconds before pouring through a fine mesh sieve and over chopped chocolate. Let stand without stirring for 5 minutes. Using a rubber spatula, gently stir mixture starting from the center and working your way toward the edges until smooth and glossy. If there are still some pieces of solid chocolate, place the bowl over a pot with ½-inch of barely simmering water and heat gently while stirring until completely smooth. Stir in vanilla extract. Let cool at room temperature until thick and spreadable, 2-3 hours, without stirring. To speed this up, you can refrigerate until it reaches spreading consistency, about 1 hour, stirring very gently every 10-15 minutes. Even if it appears too thin after 1 hour of chilling, remove it from the fridge because it can set up very quickly at this point and become firm. Avoid stirring too much as this will incorporate air and make it stiff. Spread the frosting on your cupcakes and decorate with rainbow sprinkles! They sure look delicious, especially the thick frosting! :) Nicely done! Your cookbook looks so exciting. 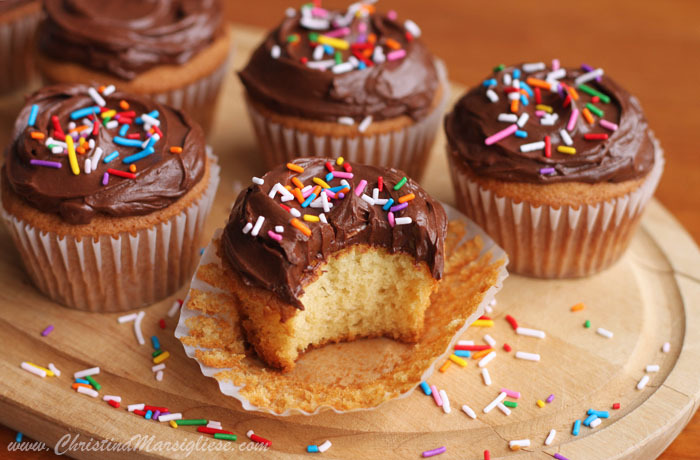 From a chocoholic like me, I must say those little cupcakes and chocolate frosting look devine! I love the picture of the cupcakes inside the oven, makes me want one, or two...!!! o wow, these look amazing!! I"m craving one of these cupcakes now! (and its only like 8 am....) Your cookbook looks delicious! Can't wait for it to come out! I have to say that I subscribe to a lot of blogs and this has to be my favorite. I can always count on great recipes and explanations. Can't wait for your book! I'm sure it will be amazing! That's so nice! Thank you. I'm glad you enjoy the goods. Me again! : ) Do you think this recipe can be made as a bundt cake and should I double the recipe to do so? Thanks! I have never made this recipe as a bundt cake. You could try it by doubling the recipe, but since this method produces such a delicate moist cake, it might be too moist and dense if baked in a large quantity. I would watch the baking time carefully and make sure that you do not under-bake it. oh yummmm... saw this on foodgawker and drooled over it, so i thought i'd let you know that these look fabulous! Congratulations on your book! Livin' the dream, baby, livin' the dream. ;-) These cupcakes look amazing and are definitely going on my "to-do" list. Once these are made, do they need to be kept in the refrigerator (because of the frosting)? That frosting looks to die for!! These can be kept a room temperature for several days no problem! The frosting is a ganache, which typically has a shelf life of about a week. Darn they look wonderful! On the second flour measurement - Is the measure 1/2 cup cake flour and 1/2 cup pastry flour? Thank you! It's half cup of "cake and pastry flour". Looks wonderful....would the results greatly vary if I used low fat sour cream? They might be just slightly less tender. But, for the most part you should be ok. Just avoid fat-free sour cream. Good luck! will your book also come as an ebook? No Jenny - just a regular old-fashioned softcover. 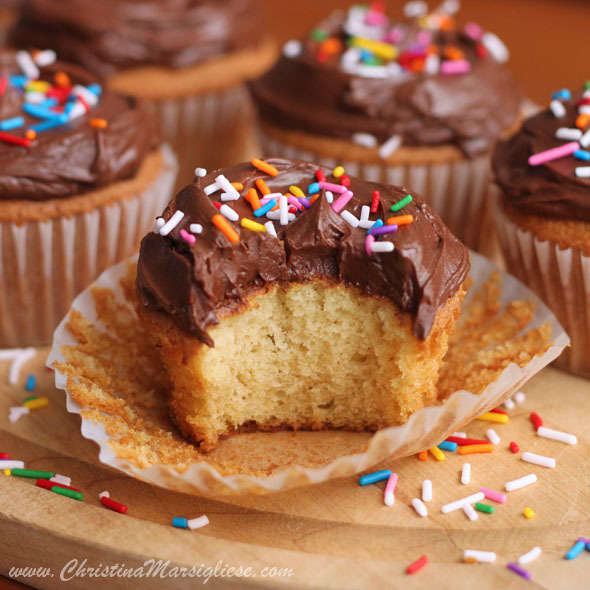 Love this cupcake recipe. Can never go wrong with a classic like yellow cupcakes! And with chocolate frosting - perfect. This was delicious! I think I overfilled mine but it's because I received a multi-tier cake pan and I tried to make one of those, and used the rest for cupcakes. It was a bit crusty on top, but still good. Yes these guys do rise a lot! I'm so glad you love them! have you tried this as a 2 or 3 layer cake and what is the baking time? i think i'll make this for MY birthday! thanks!! 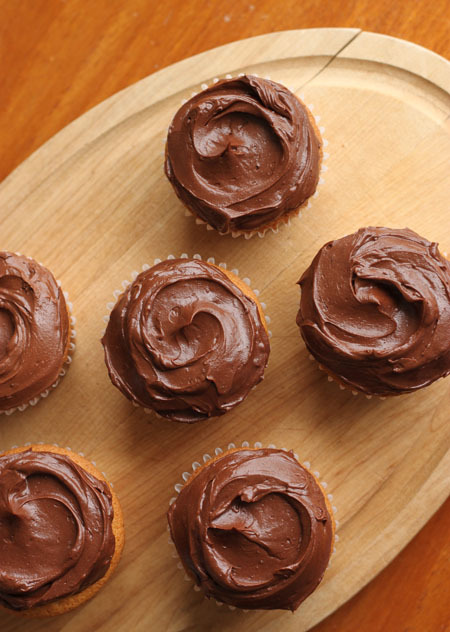 This recipe is best for cupcakes because of the one-bowl mixing method. The texture is too delicate for a layer cake. How about birthday cupcakes? Happy early birthday! Hi Christina, I am visiting your blog for the first time and am loving it already. I have to stop when one professes that they have the best ever yellow butter cupcakes....:) The recipe does look awfully interesting. Are they indeed the best? I am bookmarking this to find out. Thanks for sharing and congratulations on your new book! They are the best in my books! Thank you for your congrats! "It means, 'I want to celebrate the crap out of you'" <--I think this is the best description I've read all week. Just found your blog and I love it!! 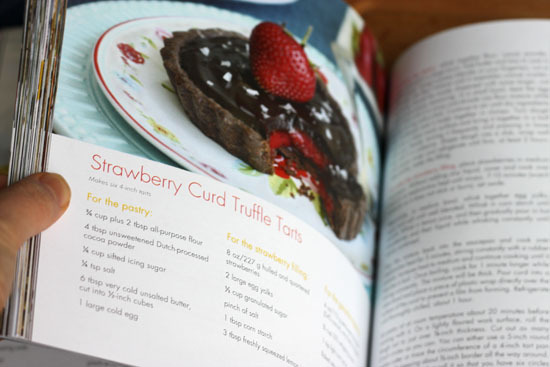 Beautiful pictures and you've definitely sold me on this recipe--can't wait to try it! I have just made these and they are divine. Are they good to freeze? 15 per batch is too many for my one aand 3 year olds. what you mean by 1/2 cup cake flour and pastry flour ? does it means 1/2 cup of cake flour and 1/ cup of pastry flour ? so the total flour measurement is 2 cups including the all purpose flour ? 1/2 cup of "cake and pastry flour"
can I use all cake flour? I have a question that's not really related "my cupcakes/cakes have never got brown when i baked them at 350F. Could it be my oven problem? I would not use all cake flour because it would affect the integrity of the crumb structure. And yes, it could definitely be that your oven is not accurate. Get an oven thermometer to test your oven temperature - they're inexpensive and very useful! I have the same problem!!! My cake never brown at 350 for 18 minutes!!! After 22 minutes, the center are done but the op I crusty. Is it because I use cake flour? What is cke and pastry flour??? 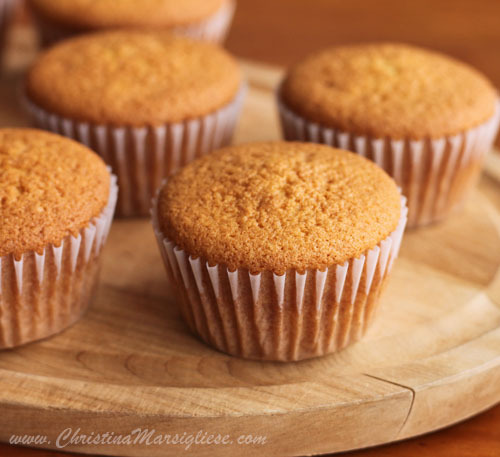 I followed the exact recipe for these cupcakes and they are truly the best yellow cupcakes that I have tasted. They have the perfect crumb and perfect amount of moisture and are incredibly easy to prepare. Thanks so much for the step by step instructions! FYI to anyone baking these: The color in the picture (dark golden brown) is a little decieving. Test them once the edges become slightly brown because the are probably done as I learned after my first failed (hockey puck hard) batch. Also I think that the frosting is more for dark chocolate lovers. 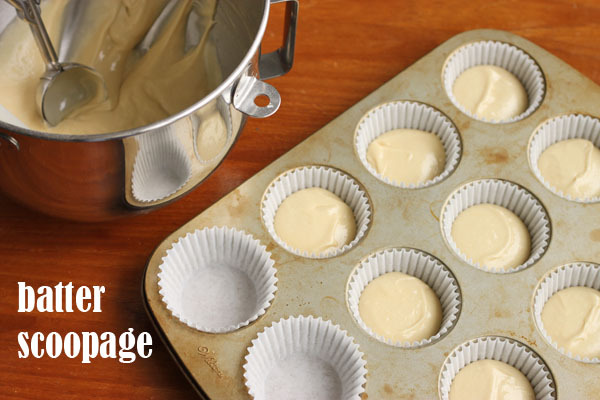 They may not have browned up as quickly if your baking soda is not quite fresh. Also, oven temperature vary dramatically among households. Glad they were a success! Yum! I'm always looking for my next "best ever" recipe. I'm going to have to try these! OMG! There are NO WORDS...wait...yes...YES there ARE words...BEST YELLOW CUPCAKES EVER! I am posting this BEFORE the chocolate frosting even touches these golden puffs of deliciousness. THAT speaks volumes in my world. If you are looking for THE MOST SPECTACULAR yellow cupcakes .. STOP and LOOK NO FURTHER! They are soft and yummy...my daughter said they are scrumptious and taste like cookies. I cannot say how much I L-O-V-E this recipe and how thankful I am that I "googled' upon it. I will most certainly be keeping this in my repertoire and trying some other recipes on this site. I must say, I have never posted a comment on a recipe that I have located online...and let me say there have been more than a few [hundred]...THAT's how good and inspiring this recipe is. This brings me more joy than you can imagine! Thanks for taking the time to leave such lovely words. about to try this recipe for one of my hospice patients. I know that this question is repetitive, but what do you mean "1/2 cup cake and pastry flour?" Is that 1/4 c. cake flour and 1/4 c. pastry flour? OR can you buy a mixture of cake/pastry flour? You can buy a product that is called "Cake & Pastry flour", but pure cake flour will also work here. So, that's 1/2 cup of cake flour. Have fun! i finally baked perfect cupcakesafter no less than twenty trials. thank you for your recipe, and i can't wait for your book to arrive in my mailbox!! Hi, just came across your blog and this great cupcake recipe that I am dying to try for my sister's 40th birthday on Saturday, will be sure to update you. Can't wait to get a copy of your book and will definitely frequent your blog. Thanks for sharing! Thanks for your comment! Can't wait for you to start baking! I am planning on making these for my birthday. I wanted to know if there is a specific reason why you used 2 % milk, Can I use regular whole milk. Yes, whole milk will work! So I ended making these cupcakes and for some reason the texture and taste wasn't right. It was kinda like a cornbread muffin with very little sweetness. When they first came out of the oven they were moist but they didn't stay moist very long. Maybe it's because of the two different type of flours. I don't think I over mixed it. The recipe call for super fine sugar so I put the sugar in a chopper to make it finer. Anyway I like your blog, I've had success with your other recipes; but this one in particular didn't work for me. Hi Jessi, I'm sorry you didn't have luck with this recipe. I make it very often with great results. With 1 cup of sugar, they should certainly taste sweet. Did you weigh your ingredients? That's okay I topped them with a chocolate peanut butter frosting which helped with the sweetness. I didn't weigh anything. I just used measuring cups. i just received your new book Scientifically sweet chocolate from Amazon! have not tried any recipe yet, but am extremely excited to try one over the weekend. 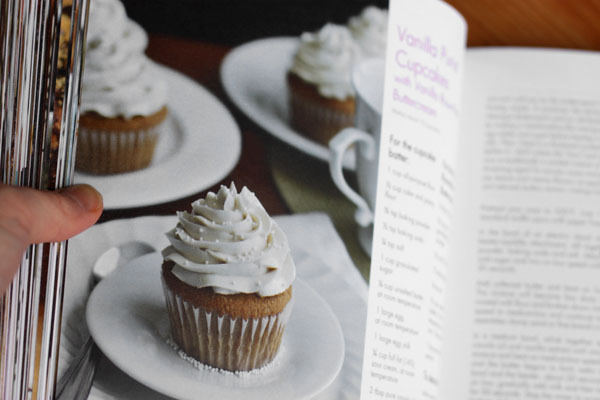 May i know if you uses fan mode or just top and bottom heat for this cupcake recipe and also in your book?